Amongst the longest lived LT service vehicles were the trolleybus breakdown tenders. Based on Leyland and Albion chassis, the earliest members of the fleet dated from 1936, Ilford depot based 123A, an Albion dating from 1937, lasted in service until 1962. 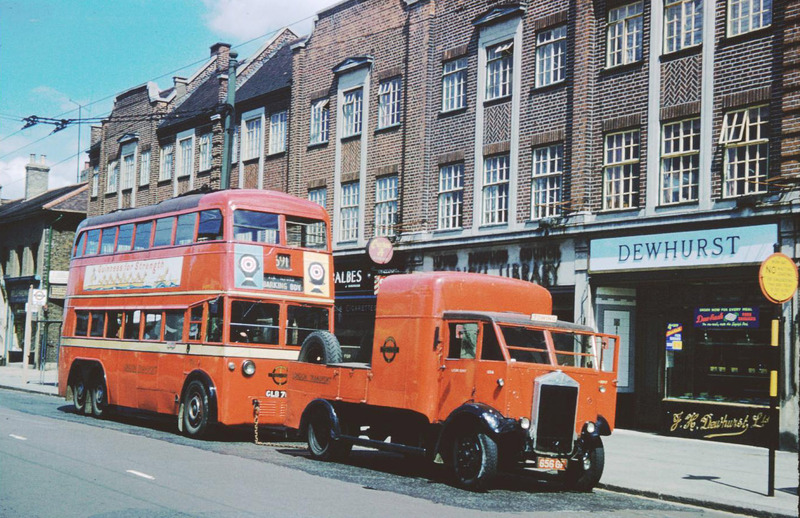 It is seen here in Barkingside High Street about to tow class SA3 trolleybus 1762 back to the depot. 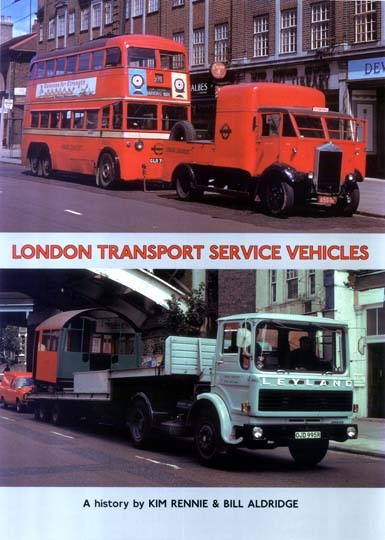 This picture has been used on the front cover of "London Transport Service Vehicles" by Kim Rennie and Bill Aldridge, published by Capital Transport in 2003 [ISBN 185414 2747]. Published in November 2003 this hardback book contains numerous photographs and operational details of the London Transport's CDS/Service Vehicle Fleet. The book is not just a glorified fleet list, but delves back to the reason why many of the vehicles were fitted with specialist equipment and how CDS was organised and operated. The authors have managed to contact the original management team of CDS thus ensuring that the material is factually correct but undoubtedly more knowledgeable readers may find some of the material to be incorrect on some points. With access to the LT archives, many photographs have been taken from official records, and while excellent for the modeller, they give little sense of occasion and so the authors have located working photographs from other sources. However, official photographs are used simply because they are of very high quality and in some cases present the only record of a particular type of vehicle.